Two of my worlds will be at conferences next week. The American Society for Training and Development (ASTD) is holding their International Conference and Exposition in Washington, DC May 4 - 7. ICMI's Contact Center Expo & Conference will be in San Diego May 6 - 9. Attending a conference can be an overwhelming experience. Four years ago, I wrote a post outlining five steps to attending a conference. My favorite? Step 1: set goals so you can focus on finding what you're looking for. Here are five new tips to help you maximize your experience. Ok, this is a repeat from my last list. It's just that it's the best way to maximize your experience. What problems can attending this conference help you solve? What speakers or attendees do you want to meet? What would make this conference easy to justify to your boss? Failing to set goals for a conference is like going to a buffet and filling up on bread because it was the first thing you saw and there was lots of it. Save room in your brain and your schedule for desert. Most conferences have a hashtag that allows you to tune in on Twitter. This has become the town square for conference attendees. People talk about their favorite sessions, share resources, and exchange ideas. Twitter is also a great way to stay awake during information-rich, interaction-poor PowerPoint dump sessions. Check out the hashtag stream for #astd2014. Attending a conference with a co-worker attached to your side can be stifling. Sure, there's safety in numbers, but now is not the time to spend even more time with someone you spend enough time with as it is. You can attend more sessions if you divide and conquer. It's easier to make new connections if you aren't all huddled together. You spend too much time together as it is. There are two ways to network at a conference. The wrong way is to swap business cards with everyone you meet and then never talk to those people again. This is what most people do. People who have already solved a problem you're trying to solve. Vendors who are selling a solution you actually need. People in similar situations who are willing to benchmark. The key to making this thing work is you must follow-up after the conference. Reach out via LinkedIn. Send them an email. Make a phone call. Whatever you do, continue the conversation. The best conferences I've ever attended all have one thing in common: conversation. Conference sessions can be great. I highly recommend attending a few. Just give yourself permission to skip a session or two in favor of a meaningful conversation with someone you meet at the conference. I almost always gain far more from talking to an expert one-on-one about a real world challenge than I do trying to keep up with a presenter monotonously droning through 150 densely packed slides in an hour. Connect with Me at ICMI! The logistics of my two favorite conferences forced me to choose one over the other. That means I'll be at the Contact Center Expo & Conference in my hometown of San Diego. I attended the ASTD 2013 International Conference & Exposition in Dallas, Texas last week. This is the premier conference for Training and Development professionals with an estimated 9,000 people in attendance. This conference is always important to me since training is at the core of what I do to help clients improve customer service. Attending a conference like this can feel like drinking from a fire hose so I’ve put together a summary of my top take-aways from the conference. You may want to start by familiarizing yourself with the conference. Another great resource is a collection of David Kelley’s curated resources from the ASTD 2013 Backchannel. These are the top three themes I took away from the conference. Theme #1: Where's the Performance? The whole point of training should be to help people perform their jobs better. This topic was conspicuously lacking at the conference. The conference was certainly rich in content. There were wonderful sessions, keynotes, and vendors sharing the latest trends in learning. The place was abuzz with technology. You had to literally run and hide if you wanted to avoid networking with amazing people. The missing piece was why any of this should matter. How can we do a better job of helping the employees we serve improve their performance? Most training courses today are built around a specific collection of content. A problem-centered learning approach builds training around a specific problem. The content is only introduced (or discovered by participants) as they need it to help solve a problem. This theme promised to move us closer to performance if we can build training around real work challenges. For example, a customer service training program could be designed around around finding ways to improve customer satisfaction ratings. This could make the training much more useful than simply providing a set of generic customer service skills. ASTD released its newly updated competency model in 2013. One of the biggest changes was the introduction of Learning Technologies as an area of expertise for the Training & Development Profession. This recognizes the growing influence of technology in how we deliver training and support our employees’ performance. Two big technology themes at the conference were social and mobile learning. Social learning is a broad term, but at the conference it primarily meant using social technology like Twitter to help foster learning. Mobile referred to learning from a mobile device such as a phone or tablet. In many ways, conference attendees were doing both since we could access most of the session materials from a mobile application and many of us were exchanging ideas and resources via Twitter throughout the conference. Another area where I see technology growing is the use of webinars for training. Most webinars today are delivered in a boring death-by-lecture format, but they can actually be highly engaging and interactive if facilitated correctly. For example, I recently facilitated a customer service training program entirely via webinar for a call center client. The highly interactive class was split into one-hour sessions so participants could apply what they learned before focusing on a new skill. 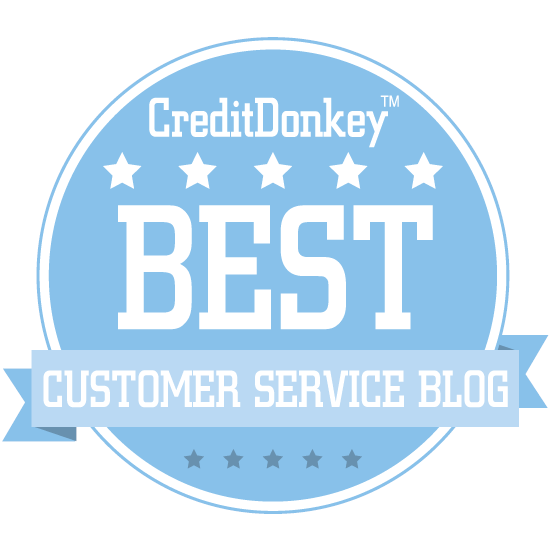 The sessions were highly rated and, more importantly, they used what they learned to improve customer service. If you attended the conference, or tuned in via Twitter, what were your take-aways? Tony Bingham, CEO of ASTD (the American Society for Training and Development), addressed a group of us yesterday at an informal luncheon. It was a 'town-hall' style meeting to discuss the role of training professionals in the current economy. One of the central themes was very enlightening: many executives and even training professionals are still looking at 'training' as an event-based activity that will magically produce better performance. When this inevitably doesn't happen, the credibility of the training program naturally comes into question. There are three major problems with this approach, and it is up to us workplace learning and performance professional to engage senior leaders to fix it before these executives are forced to make budget cuts. Problem #1: Measurement. The goal of training programs is typically some level of increased performance. Unfortunately, training is still widely measured by number of participants, learner satisfaction, and cost. Training should be evaluated by it's ability to help increase performance, improved business results, and return on investment. Problem #2: Commitment. Many managers are guilty of sending their employees off to training to 'be fixed'. They should be playing an active role in their employees' development, both before and after the training takes place. Problem #3: Support. A training class can be equated to planting a seed in a garden. Without water, sun, and nutrients, that seed will never produce vegetables. Training is the same way. Learners need support, coaching, and opportunities to practice once they've attended a class to make learning stick.